My bath is fitted against a wall with a ledge where the shower is mounted. The shower too far away from bath and both not reaching the bath and is soaking the ledge every time I have a bath. Is there a box/cage/fitting I can put on the wall to bring the shower fitting away from the wall so that the shower head is above the bath and not the ledge? why dont you build a small studd partition and tile it removing the ledge completely? 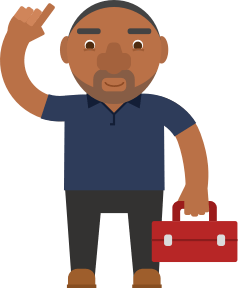 Post a job on MyBuilder to find quality, local Bathroom Fitters who can help you with your project. A Plumber quotes a estimate price for a Bathroom Installation. Customer offers to carry out help to install. Can the plumber still charger the estimate price? Blocked air vent - damp in cavity wall? How worried should I be about the timber joists and flooring in a new extension touching the wall below the dpc?